Parents and teachers: Here are a few rainy-day science lessons that your students can do, especially if they are stuck indoors during these record floods in the southern states. 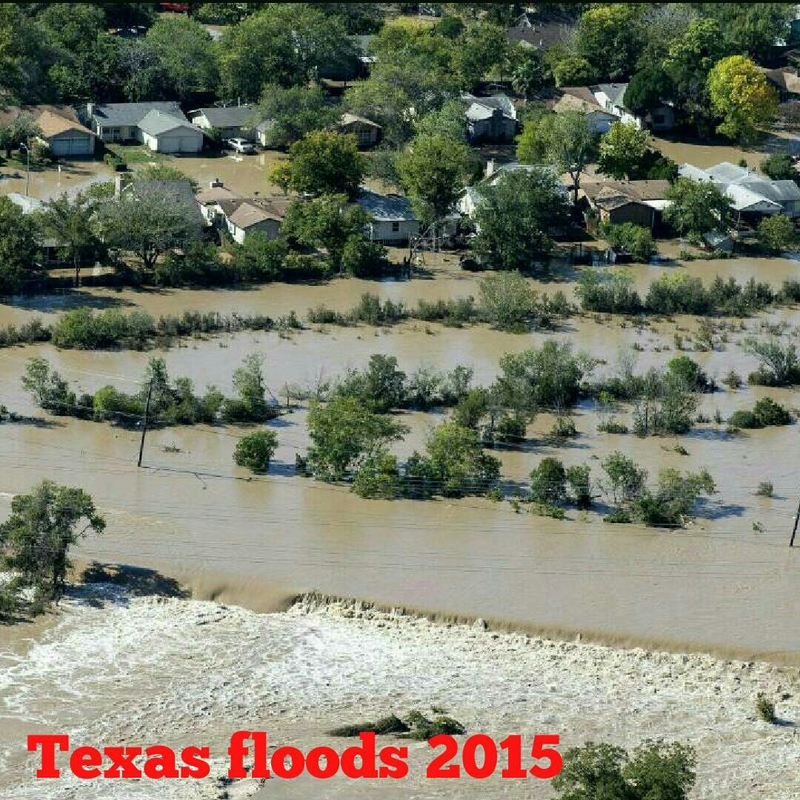 Texas has been hit hard with near-record rainfall and record flooding. In addition, Arkansas, Oklahoma, Nebraska, and Louisiana have been soaked by as much as 20 inches (500 millimeters) of rainfall during April and May. Sadly, people have died, others are missing, and homes have been destroyed. Schools across the state, including our TAMS and ED Home-school, were closed for a few days. I used our unexpected day off as an opportunity to develop what I refer to as a “Right NOW!” lesson. In other words, when my students returned to class the next day, I guided them through discussions about their personal experiences during the storm and reinforced relevant scientific events as they occur right NOW! A great science site to follow is NASA Earth Observatory. I copied two weather articles from this site and gave them to each of my students to read and study. Both articles, written by NASA scientists who conduct satellite imaging, contained a rich body of relevant science lessons that our students used to better understand what was happening around them right NOW! These articles, titled, Drenching the South and Plains and Flooding on the Arkansas River, became the basis for several great cross-curricular lessons in the days to follow the deadly floods of 2015.
climatologist: a person who studies and tracks weather conditions averaged over a period of time. crest: noun: the top of something, especially a mountain or hill. verb: reach the top of (something such as a hill or wave). drought: a prolonged period of abnormally low rainfall; a shortage of water resulting from this. El Niño and La Niña: complex weather patterns resulting from variations in ocean temperatures in the Equatorial Pacific. evacuation: the action of evacuating a person or a place; many people must evacuate certain areas where fire or weather threaten their safety. jet stream: a narrow, variable band of very strong, predominantly westerly air currents encircling the globe several miles above the earth. There are typically two or three jet streams in each of the northern and southern hemispheres. meteorologist: an expert in or student of meteorology; a weather forecaster. plains: a large area of flat land with few trees. 1. the action or process of precipitating a substance from a solution. 2. rain, snow, sleet, or hail that falls to the ground. a row or line of grass, grain, or other crop as it lies when mown or reaped. 2. a broad strip or area of something. Arkansas River is a tributary of the Mississippi. tributary: a river or stream flowing into a larger river or lake. The Arkansas River, is a tributary of the Mississippi. water cycle: cycle of processes by which water circulates between the earth’s oceans, atmosphere, and land, involving precipitation as rain and snow, drainage in streams and rivers, and return to the atmosphere by evaporation and transpiration. watershed: an area or ridge of land that separates waters flowing to different rivers, basins, or seas. MATH: Create a bar graph with the following satellite-based measurements of rainfall over the continental United States from April 20 to May 19, 2015, as compiled by NASA. FACTS: The Arkansas River is the second-longest tributary of the Mississippi River, flowing from Colorado down through Kansas, Oklahoma, and Arkansas (see image). On May 26, the river reached 33.39 feet (10.18 meters) at the Van Buren gauge near Fort Smith. Flood stage at that area is 22 feet; above 31 feet is considered a major flood. Waters appeared to crest in the evening on May 26 and began to subside, but more rain was predicted for the watershed in the final days of May. Flash Flood Warning: A Flash Flood Warning is issued when a flash flood is imminent or occurring. If you are in a flood prone area move immediately to high ground. A flash flood is a sudden violent flood that can take from minutes to hours to develop. It is even possible to experience a flash flood in areas not immediately receiving rain. Flood Warning: A Flood Warning is issued when the hazardous weather event is imminent or already happening. A Flood Warning is issued when flooding is imminent or occurring. Flood Watch: A Flood Watch is issued when conditions are favorable for a specific hazardous weather event to occur. A Flood Watch is issued when conditions are favorable for flooding. It does not mean flooding will occur, but it is possible. Flood Advisory: A Flood Advisory is issued when a specific weather event that is forecast to occur may become a nuisance. A Flood Advisory is issued when flooding is not expected to be bad enough to issue a warning. However, it may cause significant inconvenience, and if caution is not exercised, it could lead to situations that may threaten life and/or property. The data come from the Integrated Multi-Satellite Retrievals for GPM (IMERG), a product of the new Global Precipitation Measurement mission. IMERG pulls together precipitation estimates from passive microwave and infrared sensors on several satellites, as well as monthly surface precipitation gauge data, to provide precipitation estimates between 60 degrees North and South latitude. 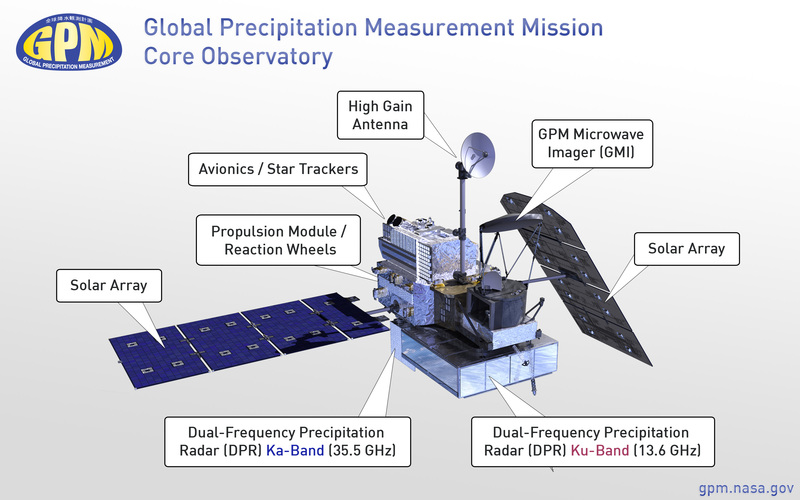 The GPM satellite is the core of the rainfall observatory that includes measurements from NASA, the Japan Aerospace Exploration Agency, and five other national and international partners. Stay in touch! TAMS and ED stands for Technology, Language Arts, Math, Science, and Education. We provide a tough yet achievable home school for students who need personal attention in a safe home environment. We utilize a number of cross-curricular teaching tools including standard textbooks, computers and technology, academic excursions, and hands-n learning. Our qualified board of directors consist of certified educators, parents, and administrators who are passionate about challenging every child to reach for the academic stars. Visit our website. ← Memorizing the Preamble: F.E.I.P.S.O.E.